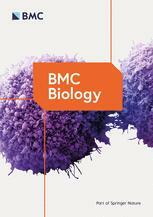 As the flagship biology journal of the BMC series, BMC Biology publishes outstanding research and commissioned content across all areas of biology. Supported by an Editorial Board of international experts and carefully-selected reviewers, our highly responsive editorial team provides rapid evaluation and publication of research with broad, lasting impact. We welcome pre-submission inquiries as well as manuscripts already posted to preprint servers, and will accommodate the author’s format preference for submissions. Our re-review opt-out policy and innovative Registered Report article type demonstrate the journal’s commitment to being at the forefront of advances in open research publishing. All articles published in BMC Biology are open access, and our popular website, active social media channels, blogs and press releases ensure that they receive broad visibility and attention.